What happens to superheroes when they get old? Well, if the first trailer for Logan is any indication, they get gruffer, grittier, and the soundtrack to their lives becomes a hell of a lot cooler. You can watch the first trailer - which is set to the sound of Johnny Cash’s cover of Nine Inch Nails' Hurt - below. Enjoy. 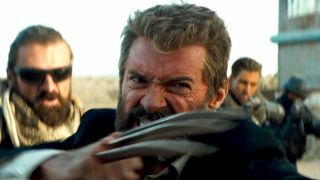 The trailer definitely has a Mad Max feel to it and is a million miles away from the original X-Men movies, which made Hugh Jackman's superhero a household name. It may look like a grim way to end the Wolverine franchise, but personally, this is the gritty X-Men movie I've been waiting for.